Blacksmith Shop, and Visitor Center is open on Saturdays and Sundays from 1 to 4 p.m.
Blacksmith Shop is currently closed for renovations. 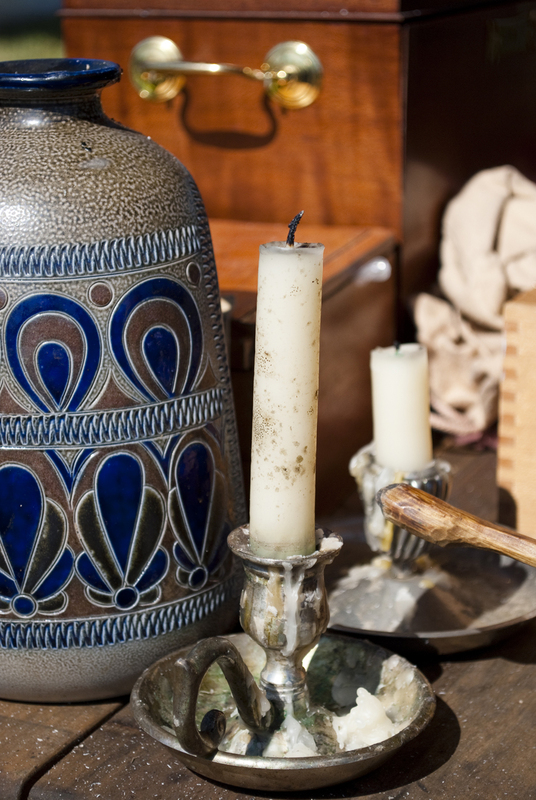 On Sunday afternoons, interpreters in the buildings behind the gristmill demonstrate woodworking, hearth and open fire cooking, gardening, sewing, and other activities essential to daily life in times past. 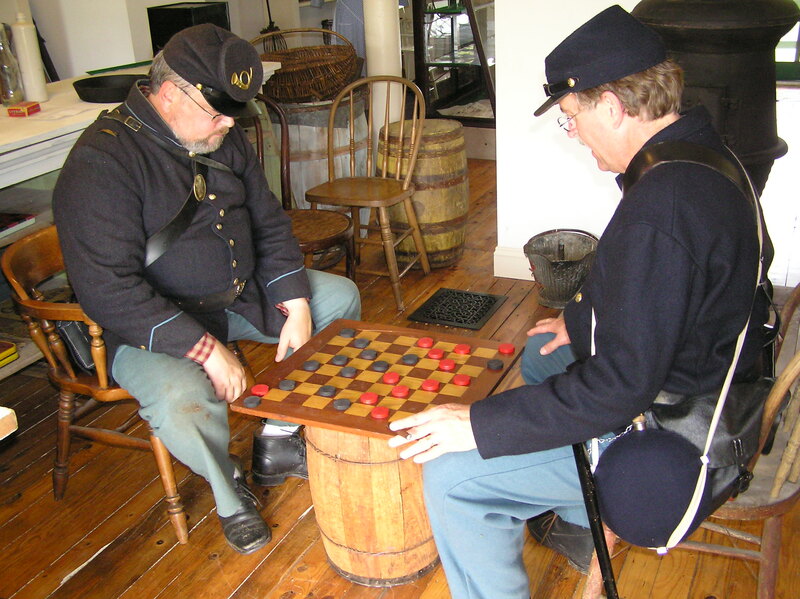 Along with the weekend living history program, we host an outdoor summer concert series from June through August, a re-creation in June of a Civil War engagement known as Gilmor’s Raid, an 18th century encampment and market fair in October, and a Christmas in the Village event for members. Our Gift Shop is a great place to shop for unique, reasonably priced goods that include a few items made by our own crafters. The shop is located in the McCourtney building and is open on weekends from 1-4 p.m. and during special events. Stop in and browse–you’ll be glad you did! 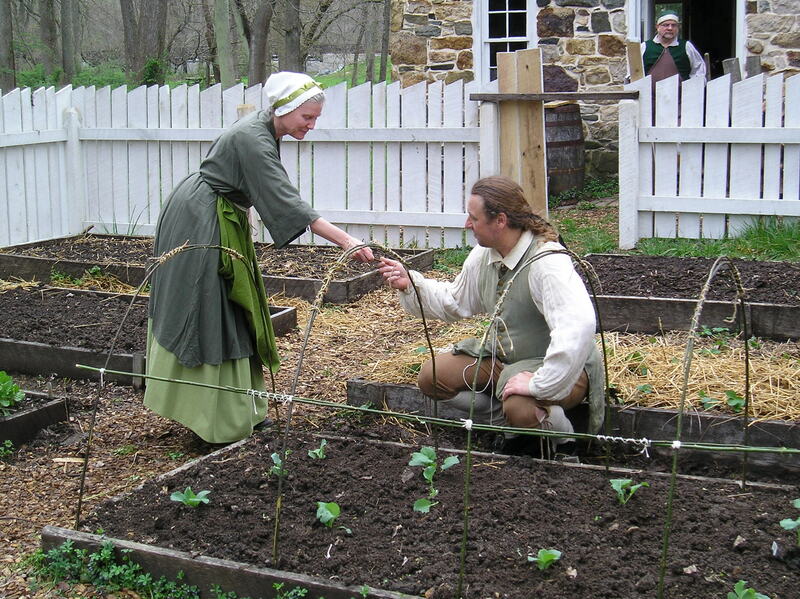 Educational field trips to Jerusalem Mill Village enhance the K-12 social studies curriculum with hands-on and other history activities, and are just plain fun. Please contact Glenn Porter at 410-877-0080 to arrange a tour at reasonable per-person fees. Our activities and events, as well as the beauty of the park itself, attract several thousand visitors annually. Check our Events page for special event scheduling and admission details.